Use a top coat of transparent nail polish to secure them in place! 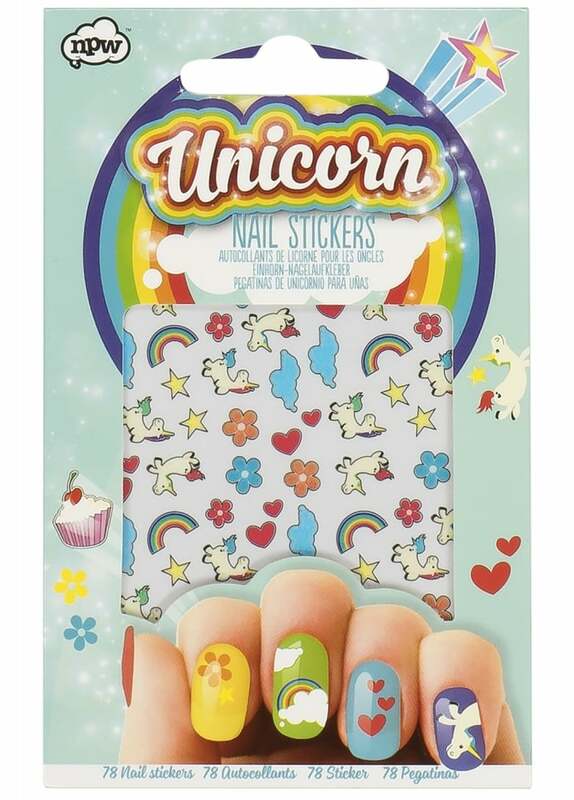 Give your hands a cute make-over with this set of Unicorn Nail Stickers. Decorate your nails with unicorns, rainbows and clouds. Pack contains 78 nail wraps in various sizes to fit fingernails.